When the name "Morgan Freeman" comes to mind, numerous films and dramatic characters trail after, right? Understandable! He's played the president ("Deep Impact"); hey, he's even played God ("Evan Almighty"). Freeman's been nominated for Academy Awards for his work in "Driving Miss Daisy" and "The Shawshank Redemption," among others, and finally won for "Million Dollar Baby." Either way, it's safe to say... he's been heard of. 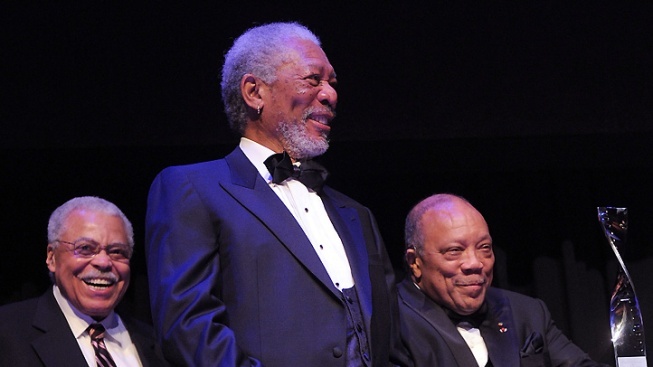 The American Film Institute in Los Angeles will be granting Freeman the Life Achievement Award this Thursday, June 9. Founded in 1967, the award's recognized stars such as Al Pacino, Barbara Streisand and John Ford. OK, so tix to Thursday's fete start at $2,000 -- not exactly something most of us can swing -- and you'd have to get out to L.A. But just for us mortals, the AFI Silver Theatre (8633 Colesville Road, Silver Spring, Md.) has been screening some of Freeman's more notable films, and will continue through June 19. Remaining movie times and dates are listed below. You can order movie tickets here. Sat., Jun 11 -- 7:10 p.m. Sun., Jun 12 -- 9:20 p.m. Sat., Jun 18 -- 9:15 p.m. Sun., Jun 19 -- 5 p.m.